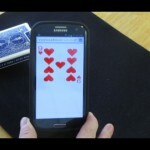 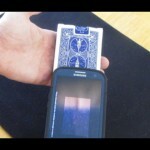 Smart Phone Card Trick - Real selected card ends up on your own phone! 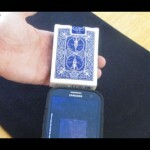 Smart Phone Card Trick demo Videos and photo walk through. 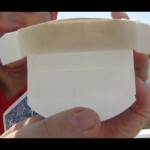 This magic trick can be performed many different ways. 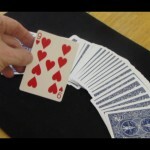 These videos show a few different methods but the end result is a selected card is covered with the spectator’s fingerprints and then he or she shuffles their own card back into the deck. 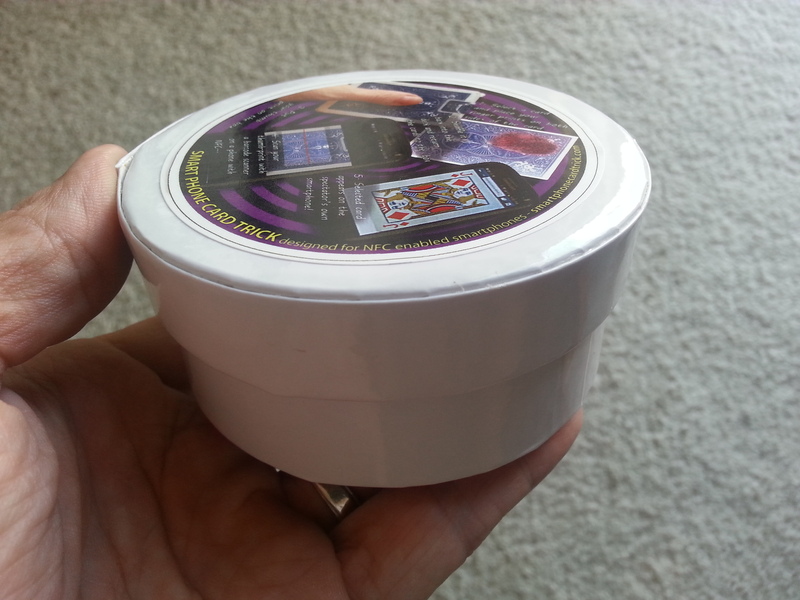 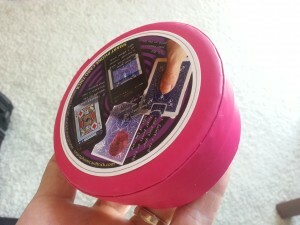 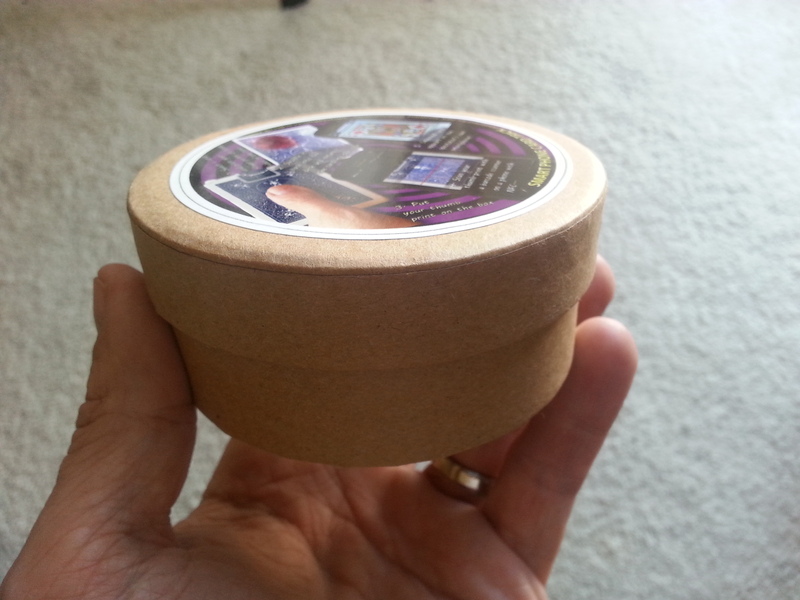 The deck is returned to the box and a thumbprint is placed in the center of the box. 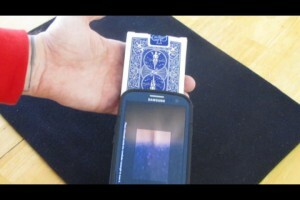 Using their own NFC enabled phone, they open any camera or barcode scanner and scan their own thumbprint. 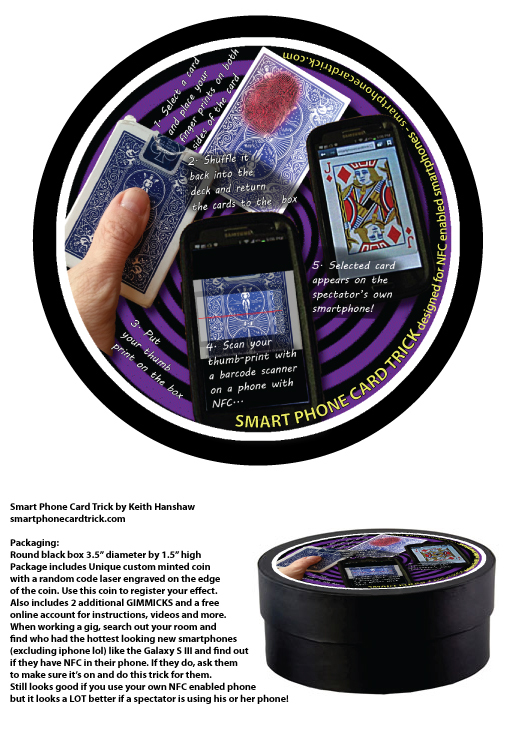 Their selected card is displayed on their own smartphone and they can take the card they selected with them as a souvenir! 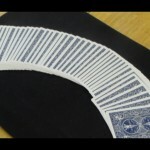 You can repeat this trick back to back all night and you will have different results each time you perform the effect.